To examine whether there are any characteristics of women or their initial tumors that might be useful for tailoring surveillance recommendations to optimize outcomes. We followed 17,286 women for up to 5 years after an initial diagnosis of ductal carcinoma in situ (DCIS) or early stage (I/II) invasive breast cancer diagnosed between 1996 and 2006. We calculated rates per 1,000 women years of recurrences and second breast primaries relative to demographics, risk factors, and characteristics of initial diagnosis: stage, treatment, mode of initial diagnosis. Nearly 4% had a second breast cancer event (314 recurrences and 344 second breast primaries). Women who used adjuvant hormonal therapy or were ≥80 years had the lowest rates of second events. Factors associated with higher recurrence and second primary rates included: initial DCIS or stage IIB, estrogen/progesterone receptor-negative, younger women (<50 years). Women with a family history or greater breast density had higher second primary rates, and women who received breast conserving surgery without radiation had higher recurrence rates. Roughly one-third of recurrences (37.6%) and second primaries (36.3%) were not screen-detected. Initial mode of diagnosis was a predictor of second events after adjusting for age, stage, primary treatment, and breast density. A recent negative mammogram should not falsely reassure physicians or women with new breast symptoms or changes because one-third of second cancers were interval cancers. This study does not provide any evidence in support of changing surveillance intervals for different subgroups. The National Cancer Institute-sponsored Breast Cancer Surveillance Consortium supported this work: U01CA63740, U01CA86076, U01CA86082, U01CA63736, U01CA70013, U01CA69976, U01CA63731, and U01CA70040). The authors had full responsibility in designing the study, collecting, analyzing and interpreting the data, deciding to submit the manuscript for publication, and writing the manuscript. We thank the BCSC participating mammography facilities, and radiologists for the data they have provided for this study. A list of the BCSC investigators and procedures for requesting BCSC data for research purposes are available at http://breastscreening.cancer.gov/. Data collection for this work was supported by NCI-funded Breast Cancer Surveillance Consortium co-operative agreements (63740, 86076, 86082, 63736, 70013, 69976, 63731, 70040). The collection of cancer incidence data used in this study was supported in part by several state public health departments and cancer registries throughout the United States. 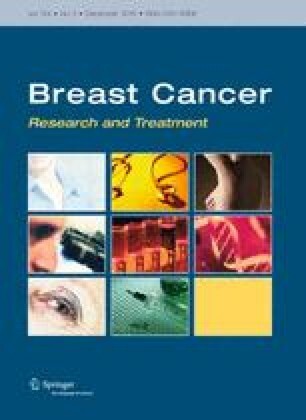 For a full description of these sources, please see http://breastscreening.cancer.gov/work/acknowledgement.html. We also thank Melissa Rabelhofer for her assistance with manuscript preparation and Rebecca Hughes for her editorial assistance.